In some ways, the history of Matt and Mike Chapman’s Homestar Runner is the history of the internet itself: a collection of doodles and bizarro characters that managed to capture the early online world’s imagination, serve as shared shibboleths for friends, and inject a few obnoxiously catchy songs into our collective brains. The site has been on an inconsistent hiatus for most of the last decade (with its occasional new post serving as headline-making news for long-time fans) as the Brothers Chaps broke into more mainstream animation. (Their DisneyXD show, Two More Eggs, aired its second season last year.) 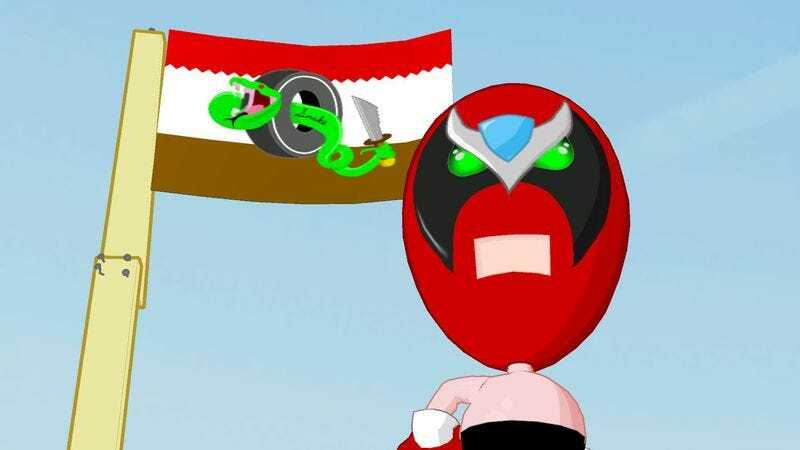 But the brothers seemed perfectly happy to reflect on their past, granting a wide-ranging look back at Homestar Runner’s legacy and origins to io9 this week. And while we never do get the answer to the age-old question of how Strong Bad types with those boxing gloves on, it’s not surprising to learn that Homestar Runner’s operations were exactly as ramshackle as the cartoon’s old Flash site would lead you to think, full of all-nighters, endlessly repeated family in-jokes, and constant struggles to figure out how to live off of running one of the internet’s most beloved destinations. We’ve felt so many times over the years that we are super fortunate, that it can’t get any better, that no matter what else we do, we did this one little thing that mattered to some people for a while. Is that a good epitaph, “He did this one little thing that mattered to some people for a while?” We always say that we could get jobs making donuts at a grocery store bakery and be totally happy for the rest of our lives since we got to do Homestar. And now we’ve been saying that for over a decade. Note: io9, like The A.V. Club, is owned by Univision Communications.